You could spend another evening comparing equipment online. Or you could spend it recording your demo. 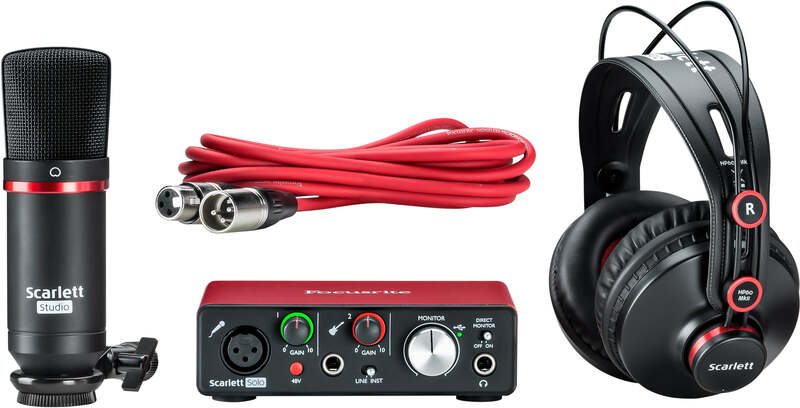 Scarlett Solo Studio gives you everything you need to easily make studio-quality music on PC or Mac®. Connect your microphone to our natural-sounding Scarlett preamp, and plug your guitar straight into the input. 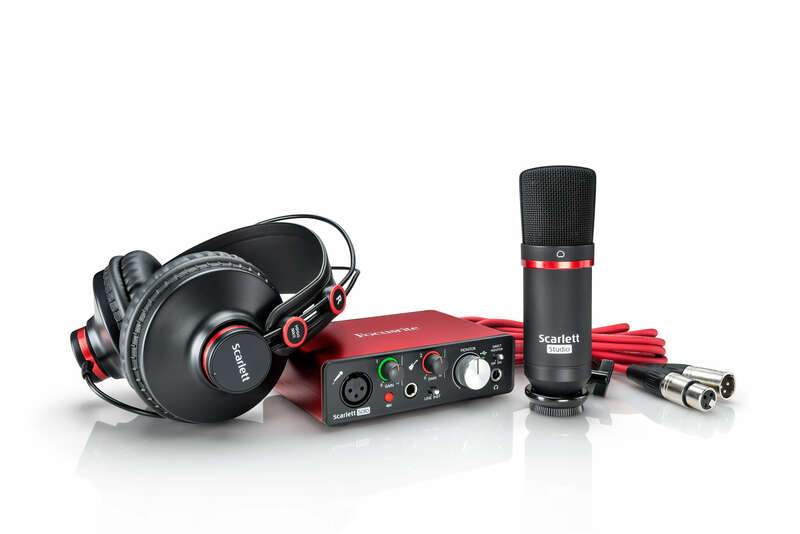 Both record studio-quality audio that sounds just the way you intended. Setting the perfect level couldn’t be easier, thanks to our signature Gain Halos around the gain knobs.